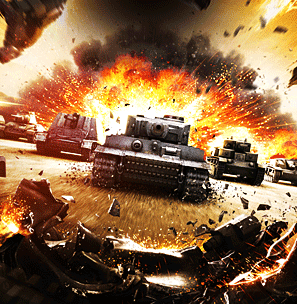 Wargaming, the award-winning videogame developer and publisher, is delighted to announce that its MMO action game World of Tanks has set a new Guinness World Record for Most Players Online Simultaneously on One MMO Server. The number of gamers logged on to one of the five servers of the Russian gaming cluster reached the triple-figure mark of 190,541 players on January 21, 2013. With more than 50 million gamers worldwide and peak concurrent user count of 815,000 players in Russia alone, the company is on the leading edge of the online games market. The tank MMO action game has entered the book for the second time by demolishing its previous record of 91,311 players set in January 2011.